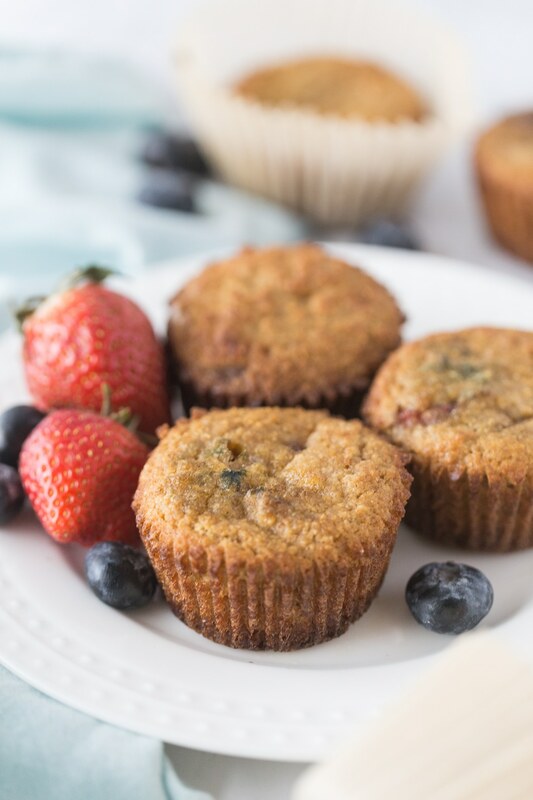 These Mixed Berry Muffins are not just delicious, but perfect for the ketogenic diet! 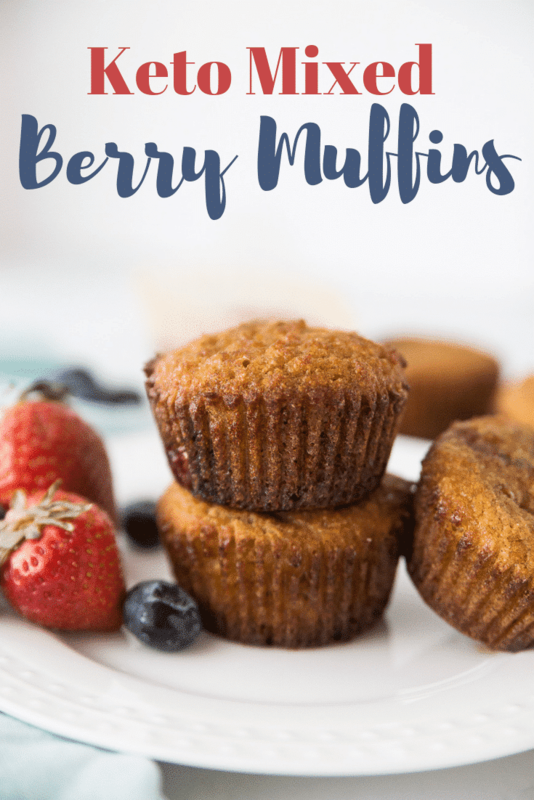 If you are on a keto diet or doing a low carb diet, then you’ll love these delicious muffins that are great snacks or a breakfast treat. I’ve been craving a big fluffy blueberry muffin lately. I’m not sure where the craving came from as it hit out of the blue. I’m not usually someone who eats muffins very often even before changing to a ketogenic lifestyle. Since I made Keto/Low Carb Pumpkin Muffins from my Pumpkin Bread, I figured it wouldn’t be difficult to tweak my Blueberry Bread recipe to make muffins. I had planned on Keto/Low Carb Blueberry Muffins, buy my baby fell in love with blueberries this week, so I only had 1/4 cup left. To make up for the lack of blueberries, I added a couple of chopped strawberries and made Mixed Berry Muffins instead. Although keto friendly/low carb bread doesn’t taste “just like” their fluffy white flour and regular sugar counterpart, this version is a fantastic alternative. 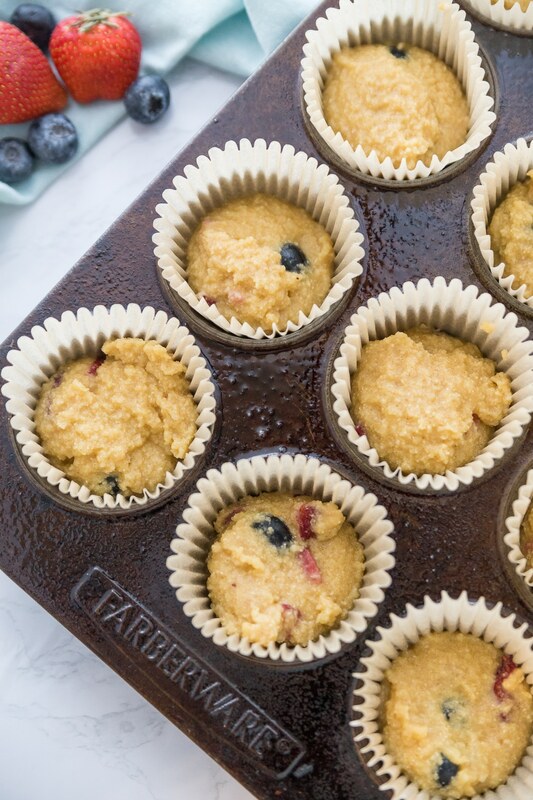 I think these Keto Mixed Berry Muffins are best served straight out of the oven with a big ole pat of butter on top. 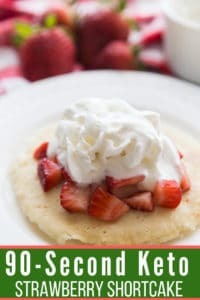 They make a fabulous breakfast when you are tired of eggs or an afternoon snack option. 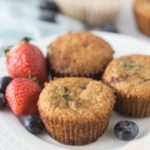 This recipe for Keto Mixed Berry Muffins is so easy to make. Even if you aren’t an experienced baker, you should have no trouble with this recipe. It is one of those “dump everything in the bowl” and mix kind of quick bread recipe. 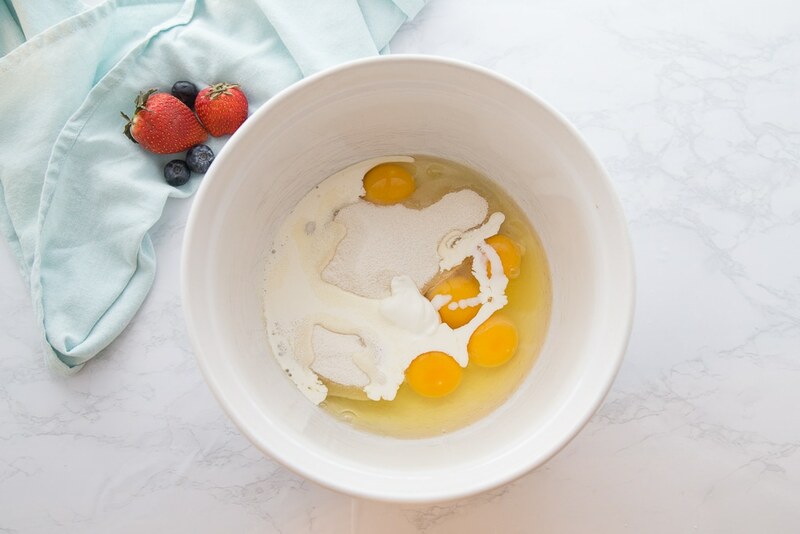 Once the muffin batter is combined, fold in the fresh mixed berries. Keto friendly flours tend to be a little “sticky.” I’ve started using parchment paper muffin liners. Otherwise, too much of the batter stuck to the pan or regular liners. They are a little more expensive, but every single bit of the muffin pops right out. I found these on Amazon for regular sized muffins. Yum! They look amazing! I love eating them with a nice hot cup of coffee. 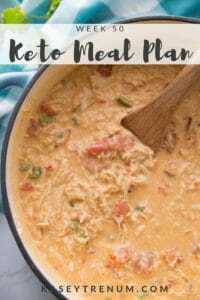 If you are working to get started on the keto diet plan, we have some great tips already prepared. You can learn from our experiences in our list of things you’ll learn in your first month on the keto diet. 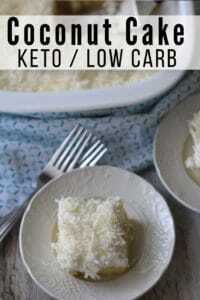 It can be beneficial to follow the Keto/Low Carb 30 Day Challenge when you begin this plan. We share tons of great tips that will help guarantee your success. 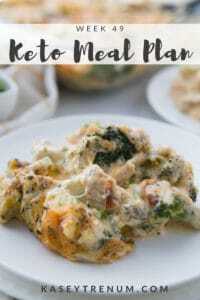 A beginner keto meal plan can also be helpful when you begin this program. Having meal plans ready is huge! Definitely, print out our beginner keto grocery list! It is truly one of the most important things you can do to manage keto when you are busy. Are you stalling on the keto diet? 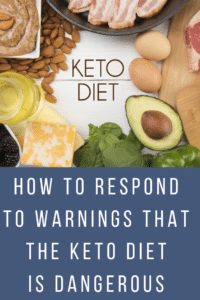 Then check out our reasons why you may be stalled on the keto diet plan. 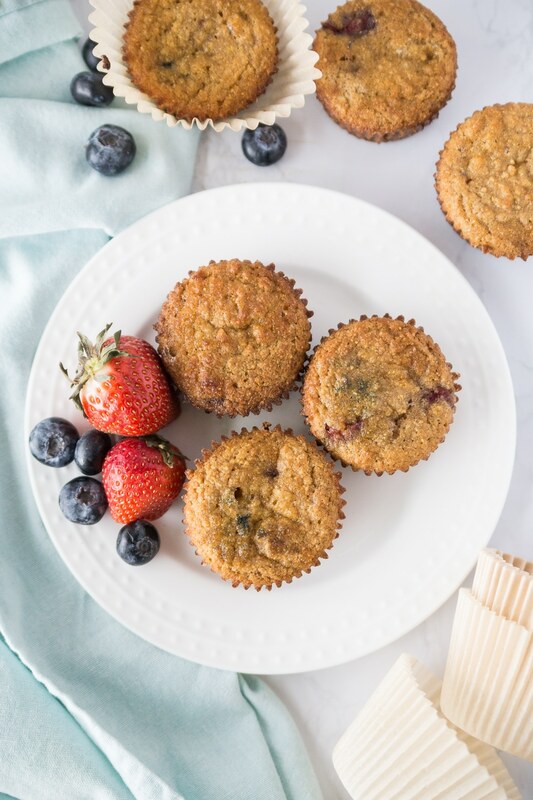 These Keto Mixed Berry Muffins are moist, delicious, and full of berry flavor. 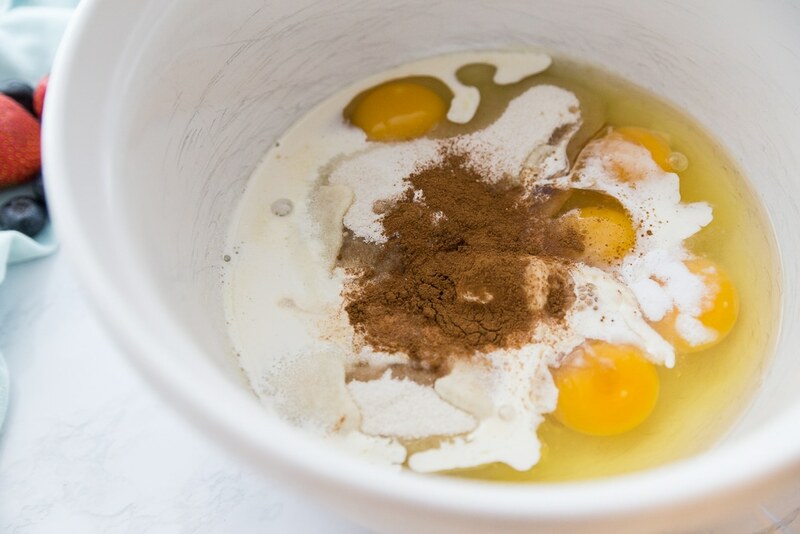 Add the melted butter and coconut flour to the mixture and beat again until combined. 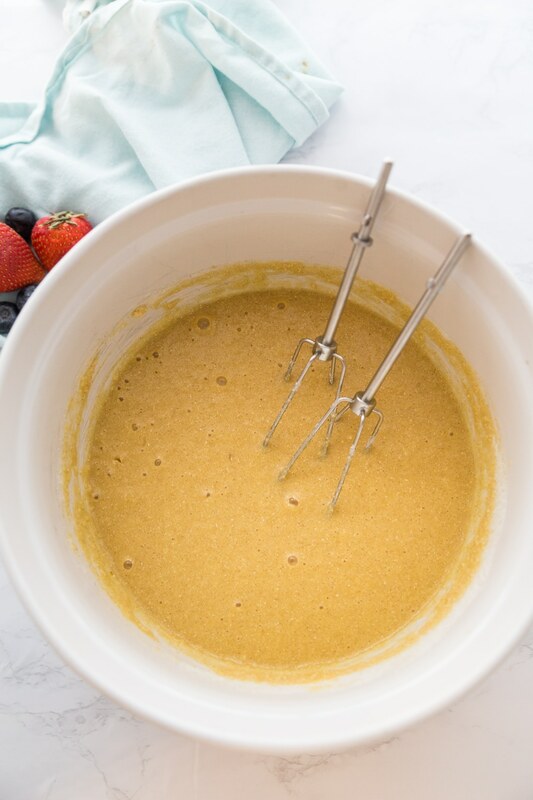 Add the fresh strawberries and blueberries to the batter and mix on medium speed until thoroughly combined. 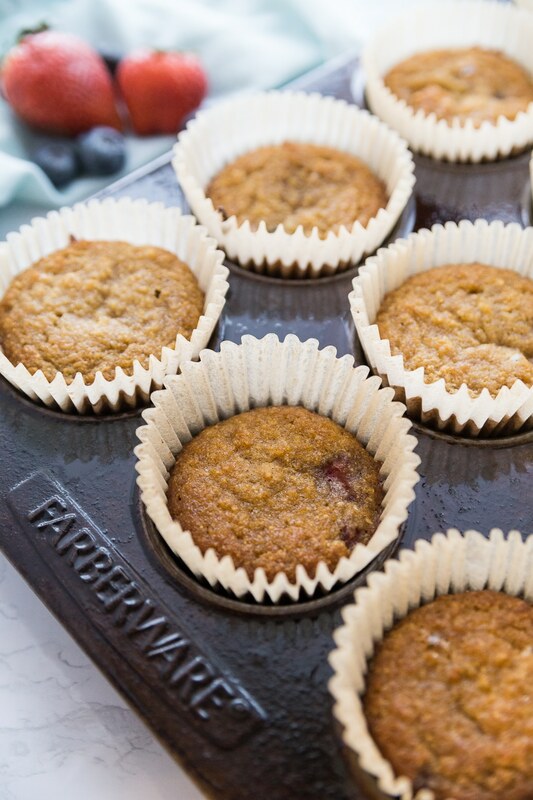 Pour batter into muffin pans lined with parchment paper liners. Keto friendly baking items tend to stick to regular muffin liners and muffin tins. The parchment paper liners are fantastic. You can find them here. Bakes for 25-30 minutes or until tops are browned and a toothpick inserted in the center comes out clean. The sugar alcohols from Monkfruit are not included in the nutritional information since most subtract sugar alcohols to calculate net carbs. 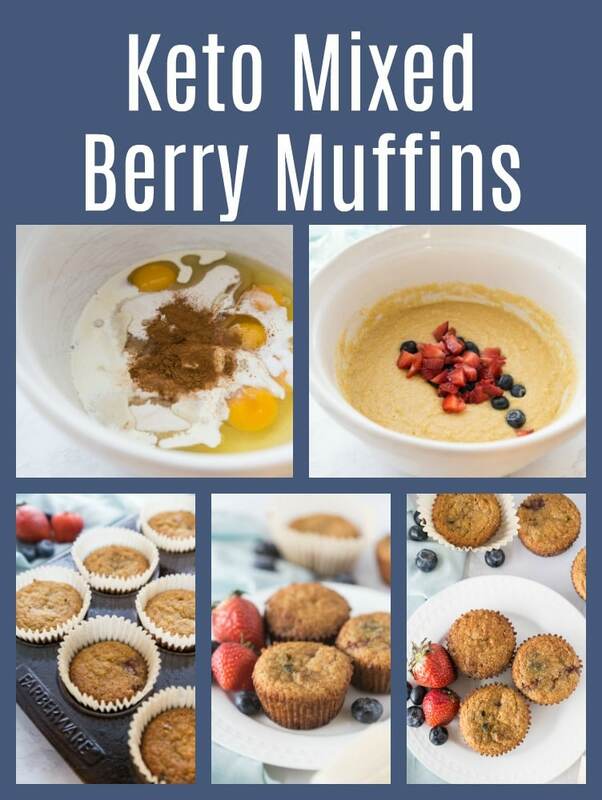 If you love my keto mixed berry muffins, make sure to check out all of my Keto/low carb recipes in my Keto/low carb recipe index. 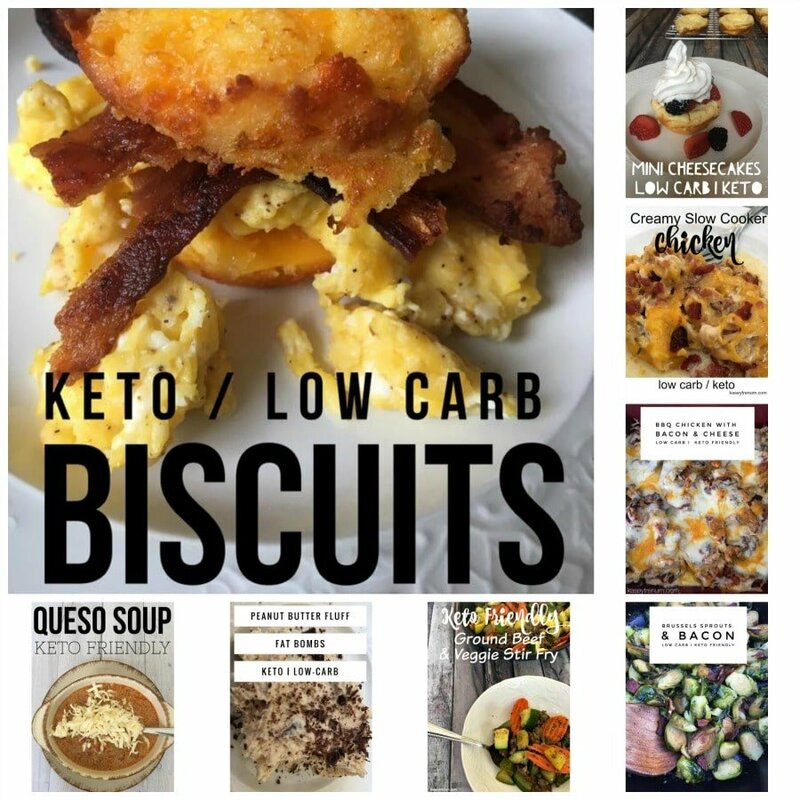 We have tons of delicious food options that easily fit into your low carb and keto diet plan! Don’t forget to pin this recipe so you’ll have it for later. What’s the serving size? One muffin? The nutritional info is per muffin so each person could determine their own serving size. 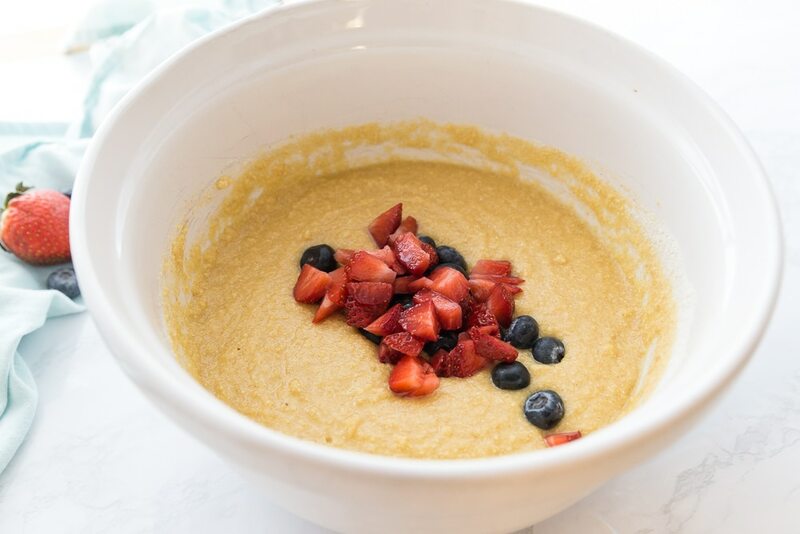 Can you use frozen strawberries and frozen blueberries instead of fresh berries? They will have a larger moisture content so I haven’t personally tested this recipe with frozen berries. How does this recipe have zero sugar in macros? It sounds scrumptious, going to make this for sure. Thank u! I made thes blueberry muffins today, they are amazing! Thank you for posting this recipe. I look forward to many more of your recipes! Thanks so much, Vicky! I’m so glad you enjoyed them. I don’t personally use Stevia because I think it tastes bitter. You are welcome to try. Hi Kasey, I love the sound of these, but once again I have a problem in not being able to purchase Swerve here in Australia. I see where you say you don’t like Stevia because it has a slight bitter taste which I agree with you. So, If I can find Xylitol or Erythritol would they be any better? Yes, I would try Xylitol or Erythritol for an alternative. I think the Erythritol is very similar. Has anyone tried freezing these, then reheating to eat them at a later time? If so, how did they hold up? If one serving is 112 calories, what is the serving size? I used 2 TB of battery per muffin. The nutritional info listed is per muffin so that each person can determine their own servings size. It is a keto approved sweetener. It’s a pretty close match to erythritol if you have that! If you are going to eat keto, then you should probably buy a bag. Can I use brown sugar instead? I’ve only tested the recipe as is so I can’t say for sure. What about using Splenda? Or substituting almond flour? I’ve only made it as is, but feel free to make substitutions. If you use almond flour, you’ll need 4x as much. Can I used it as a general rule that if I want to substitute coconut flour with almond flower, I should take the coconut flour amount and multiply that measurement times 4 to get the correct amount of almond flour? It would be wonderful to have the information for this substitution since I HATE coconut and so many recipes use coconut flour! Thank you. I don;t cook with Almond flour because of my daughter’s allergy. The conversion is 1 to 4 Coconut to Almond. I beat mine with an electric mixer. Do have any idea how much Almond flour I will need instead of coconut flour? What’s the beat way to keep these? Should they go in the fridge? Or airtight container on the counter? I just made my first batch and they are delicious!!! Thanks for the recipe!!! I put mine in the fridge. No matter how hard I try, I cannot get it to match your total carbs. I entered the ingredients into myfitnesspal and the swerve itself has 192 carbs total for the recipe. When you divide that by the 16 servings, it comes to 12 total carbs per serving of just the sweetener. I come up with a total of 14 total grams. Can you please explain exactly where you are getting the 3 total carbs from? Yes, MyFitnessPal doesn’t know to back out the sugar alcohols from Swerve. I would like to try making and freezing to eat later. Have you tried freezing these? I would be subbing with almond flour due to allergies to cocoanut, if that makes a difference. Thank you for your amazing recipes! I have not tried freezing them but I have read that others have without any problems. If you use almond flour, make sure to use 4x as much coconut flour as it is not a 1:1 substitution. Kasey…I just made these with frozen berries that I let ALMOST defrost! They are so moist and delicious…I mean…drop dead delicious! Thanks for all your great recipes…I haven’t been disappointed yet! Yay!!! I’m so glad you loved them. You are so very welcome. It is a keto friendly sweetener. Can you use almond flour instead of coconut flour? If so, what would be the measurement change? Yes, you’ll need 4x as much. So glad you enjoyed it. Somehow I ended up with 21 gloriously delicious muffins! Thank you for sharing this recipe!